Most United States citizens are familiar with the complex, stressful process of filing taxes with the Internal Revenue Service; however, they may not be aware of the added complications that can come with foreign bank accounts. All Americans, whether they live in the U.S. or abroad, must report foreign assets to the IRS if those assets are valued above a certain threshold. Additionally, the requirements for reporting can vary depending on marital status and any fluctuations in value the asset may have undergone over the course of the tax year. If you have funds in a foreign bank account, or if you are not sure whether you need to report certain assets to the IRS and need some guidance, Ted Kleinman, CPA, can help. Read more about his services and experience today by visiting ustaxhelp.com. Foreign assets might not end up affecting your final tax bill, but they still need to be reported to the appropriate agencies if you want to avoid significant penalties. Keep in mind that the thresholds for reporting can vary, making mistakes and missed returns more likely. On top of that, exemptions exist for both of the two major tax codes affecting foreign assets, the Report of Foreign Bank and Financial Accounts (FBAR) and the Foreign Account Tax Compliance Act (FATCA). the total value of all foreign accounts surpassed $10,000 at any point during the calendar year. you are married and planning to file a joint income tax return, and the total value of your foreign financial assets is more than $400,000 on the last day of the tax year or reached $600,000 at any point during the year; this applies even if only one spouse lives outside the United States. you are single or filing separately from your spouse, and the total value of your foreign assets is more than $200,000 on the last day of the tax year or reached $300,000 at any time during the tax year. According to the IRS, you are considered to live abroad if you are an American citizen whose tax home is in another country and you have spent at least 330 days in a foreign country over twelve consecutive months. 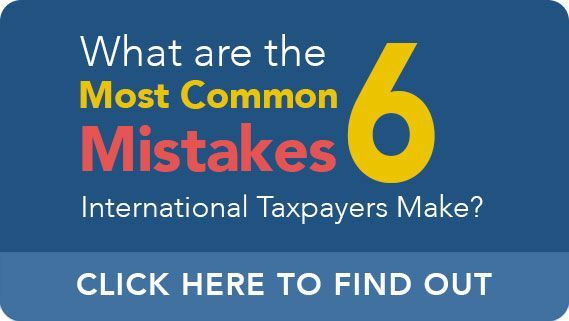 Failure to report overseas accounts can carry pretty significant penalties if the IRS realizes the mistake. For example, if you have to file Form 8938 to comply with FATCA and fail to do so, you could face a $10,000 failure to file penalty and an additional penalty of up to $50,000 if you still do not file after the IRS notifies you of your delinquent status. The statute of limitations will also be extended to six years if you omit more than $5,000 of income attributable to a foreign financial asset, without regard to the reporting threshold or any reporting exceptions. If you fail to file or properly report an asset on Form 8938, the statute of limitations for the tax year is extended to three years following the time you provide the required information. If the failure is due to reasonable cause, the statute of limitations is extended only with regard to the item or items related to such failure and not for the entire tax return. In some cases, however, penalties can be avoided, even if the proper paperwork was not filed with the IRS. In fact, that is the entire purpose of the streamlined foreign offshore procedures offered to Americans living abroad: to efficiently file delinquent returns while forgiving gaps in past filings. Are Streamlined Reporting Procedures Right for Me? It depends. The IRS offers the streamlined reporting procedures to any U.S. national who has failed to file foreign assets, but only if that lapse was accidental and the IRS has not caught the mistake. As part of the streamlined process, a taxpayer must complete and sign Form 14653, Certification by U.S. Person Residing Outside of the U.S., verifying their eligibility; if at any point you knowingly failed to file the proper paperwork, the streamlined filing compliance procedures are closed to you. If you think you may have failed to properly report your foreign accounts to the IRS as required by law, it may not be too late to avoid expensive fines. Ted Kleinman, CPA, has more than 30 years’ experience dealing with U.S. tax codes, especially as they relate to foreign accounts and Americans living abroad. Contact Ted today by calling (541) 923-0903 or visiting ustaxhelp.com.